Creating a beautiful, natural look has never been easier! 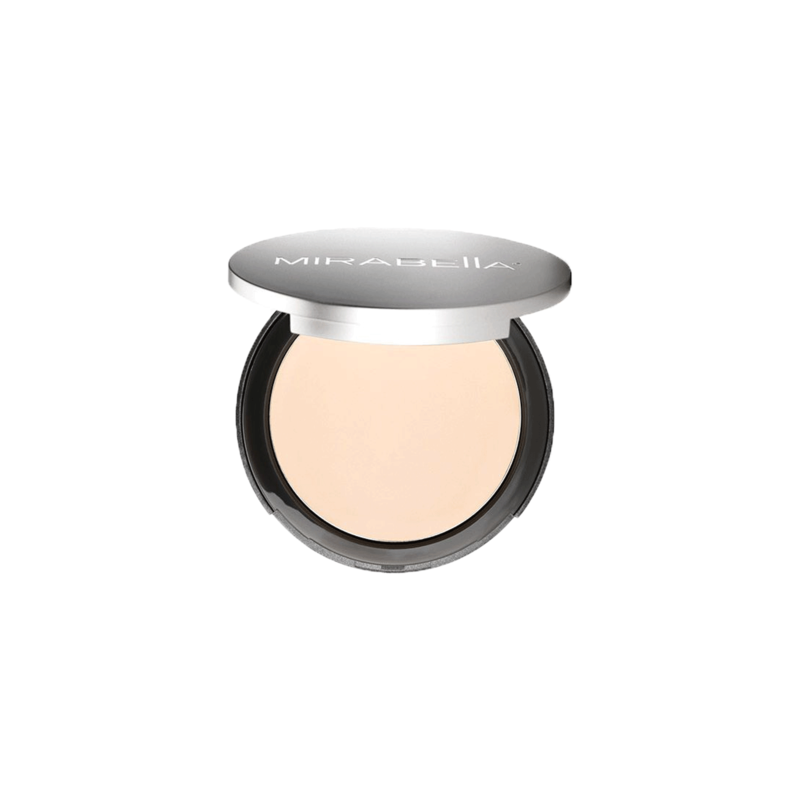 Mirabella’s Pure Press mineral powder foundation goes on easy, providing perfect medium coverage for an all-over base that sets the stage for a look that will last. It’s also ideal for setting crème foundations for those times when heavier coverage is desired to even out tones and paint a picture of perfection. Infused with natural vitamins and minerals, Pure Press nourishes the skin, providing anti-aging properties as it delivers just the right amount of coverage. As with all of Mirabella’s products, Pure Press is paraben free. It’s also talc, lead, oil, chemical and FD&C/D&C Dye-free. Available in a selection of six shades to complement all skin tones, Pure Press provides a stunning start – or finish – to any look. Be sure to use it in concert with our other products for the face and skin to ensure the most beautiful finished results.